Many parents keep asking us about factors to consider before deciding it is suitable to gift their children a lovely pet. While there can be hundreds of other factors, here are some of the basics that you have to consider as important. Are you ready to host your pet at your home? Having a pet is not as easy as it seems, unless you have the right environment. How much space you have inside your home, garden is important factors before you deciding the breed of a dog, or choosing between cat or a dog. Smaller dogs usually need smaller space. But cats; no matter how big or small they are need much more space than a dog. That is because, cats love wandering around a lot. If you don’t have enough space in your home, your cat will end up in peeping into your neighbor’s kitchen or the living room. Consequences of such incidents may damage the social relationships you are having with your neighbors. If you are living in an upstairs apartment, it is not a good idea to have a larger breed of a dog. Because larger dogs need regular walking exercising, so it might be not convenient for you to take them for a walk so regularly. 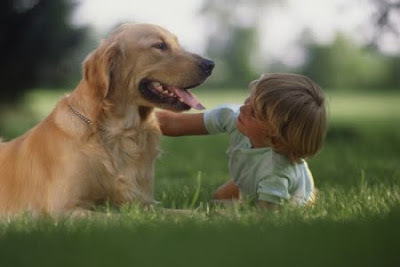 Most important thing of giving a pet as a gift to your child is to see if the child love the breed of that pet. Some children love larger breeds of dogs and some loves smaller ones. Some children love cats with lots of fur (Persians), and some loves breeds with shorter fur. First ask them what they really love. Gifting a pet not admired by your child is a agony for both the child and the pet. Remember, having a pet is having a relationship. Without love and affection, you never can expect your child to be taken good care of the pet. Once you get an idea on what type of a pet your child loves; then do some research on different breeds of dogs/cats, matching the requirement. You can search many internet websites on dog breeds and cat breeds. Or you can consult your neighborhood veterinary surgeon, or consult a friend who is very knowledgeable about pets. If you are buying a pet for your child, you have to think of the budget you can afford. It is not only the price of the puppy or the kitten that matters. The cost of accessories as and when pet grow bigger, cost of special pet foods the pet will need are some of the factors. Some breeds need more medical attention than others. For example, a mongrel dog relatively needs less medical attention and special food than a Labrador. Once again, remember the fact that when you decide to buy a pet, you are coming to a long term relationship with a living being. You have to make sure you do justice to his/her basic needs, and taken good care. If you are not economically ready to raise a dog in an expensive breed, it is highly advised not to buy a one at first place. This is the most important thing before you take home your pet. Make sure a qualified professional properly vaccinates the pet. All the vaccination records should be maintained in a “Pet Passport” or a Pet Record Book (can be obtained free from any veterinary clinic when you vaccinate your pet for the first time). Vaccinations should be done for all diseases vulnerable to the type of the pet. Thereafter you have to be vigilant about the vaccination schedule of your pet. If you are not able to remember the next vaccination date, you can request the veterinary surgeon to make a note in his/her diary and give a reminder call when the vaccination date is closer. Before I forget! Vaccination is the most important ritual that you have to do when raising a pet. Never allow your children to be with a non-vaccinated pet. Animals are living beings too, just like humans. They too feel the need for being cared by others. When you decide to adopt or buy an animal as a pet, you need to acknowledge the fact that your pet becomes a part of your family after as soon you become the care-taker of your pet. This is why we believe “pets are family too” as our mission. You have to make sure your pet is well fed. Well fed, does not means giving them expensive pet food. Just like any family member, you have to make sure they get enough “eatable” food to eat when they feel hungry. If you leave your home for few days, make sure you arrange a way to feed your pet while you are away. You can get the help of a servant, a neighbor, or a paid animal boarding place. We recently treated a cat with a rash all over its body. Treatment went for more than three weeks, and it was a costly encounter for the owner to afford such an extensive course of treatment. Most people blame the vet surgeon or the Animal Hospital for charging huge bills for this type of lengthy treatments. But the fact is, if you identify (spot) your pet’s rash before it gets spread; you can save lot of time, effort and money by giving medical treatments on time. Most owners delay treatments for sickness of their pets, thinking that it will be cured over time. However, it is always advised to get your pet to a qualified veterinary doctor, if a minor sickness persists for more than 3 days. (For major sicknesses never even wait that long). We are sure these tips are helpful for you to decide whether to bring a pet home. You can contact us for more assistance at anytime if you need. If you are living outside Nugegoda, and suburbs contact your nearest animal clinic. There are several Animal Clinics in Colombo, which you can contact for help. How about learning where your local animal hospital is or how to find a animal hospital in Port Charlotte or something like that? I think that this'll be a good one. Mage pusa hama thissema wamani danawa..kaha patata.... Pusa dagalanawa bade mokak hari ledak wage... Mokakda Dan mama kananna oni? Please mata help karanna.